A “new” and as yet unnamed Loyalist paramilitary group announced its presence on the scene this week by releasing a pair of photographs to the media (one of which is reproduced above) along with a statement in which they threatened to kill members of the PSNI and Parades Commission, which has had the temerity to place limits on the Loyalist community’s ability to celebrate their culture through displays of tribal dominance directed against their Catholic neighbors. The statement that accompanied the photos played on what has become a familiar theme amongst many Loyalists in which they characterize an erosion of privilege as brutal oppression by the state they claim to love. brutal assault upon the PUL community and the random firing of baton rounds aimed to seriously injure our people we are left with no other option but to announce the PSNI and Parades Commission are legitimate targets. We do not want to take this course of action but our people have suffered enough over the last few years and we as disengaged and disgruntled loyalists feel like the time has come for us to take action. No Surrender. That Loyalists would threaten to take up arms against the British state is nothing new. The original Ulster Volunteer Force was organized in 1913 with the express intention of waging war against Britain to prevent it from granting home rule to Ireland. 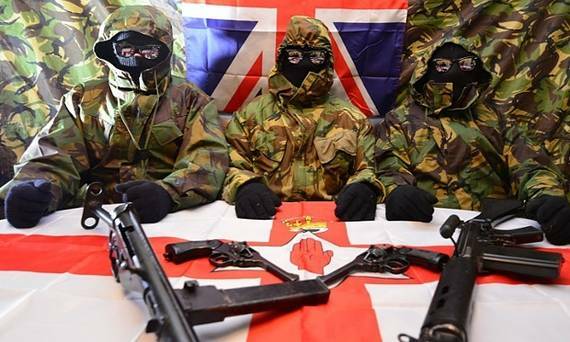 But within Loyalism feelings and complaints of victimization have become much more open in recent years, fueled by a sense that their victory over the IRA, which has secured Northern Ireland’s place in the United Kingdom for the foreseeable future, is in fact a hollow one. As I wrote back in March, it is the belief that while they have won the war, the spoils of victory have passed them by. I first heard this expressed back in 2010 when I interviewed several former UDA and UFV men active in the Loyalist ex-prisoner community. Today it is the sentiment behind the ongoing flag protests, the protest camp at Twaddlle Avenue, and the above mentioned riot this week which broke out when Loyalists attempted to storm police barricades blocking them from marching past a Catholic area. It is reflected in the statement released by the Orange Order in advance of Twelfth of July celebrations which I wrote about last week, in which they decried the intolerance of Republicans and the “petty restrictions” imposed by the state on their right to march and parade where and when they wish, despite any objections from residents. It is reflected in the tweets of self-described anti-agreement Loyalist provocateur Jamie Bryson claiming persecution and a war waged by police and Parades Commission against the PUL (Protestant/Unionist/Loyalist) people. A recent unpublished study by a group of researchers from Queens University suggests that the flag and other protests stem from working class Loyalists’ feelings of economic and social dispossession, paranoid siege mentality, a belief that their avenues of expression are being systematically closed off, and that they are being manipulated and exploited by the system. Others (such as doctoral student Sophie Long at TPQ) have written much more eloquently about the state of Loyalism than I can. And it remains to be seen if this new armed group will amount to anything more than empty posturing. But from where I sit, and based on what I’ve seen, the people I’ve met, and conversations I’ve had, when I think about future threats to the peace in Northern Ireland, I am much more concerned about the alienation of Loyalists than I am the ambitions of dissident Republicans. 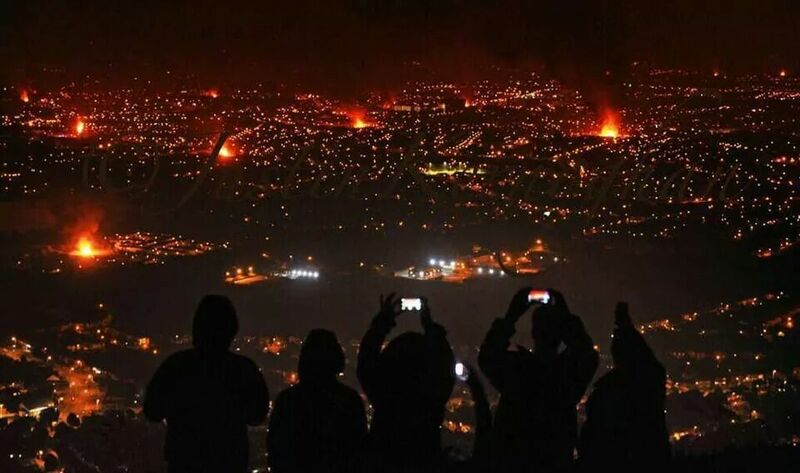 Tomorrow night Belfast will burn, again, just as it does every July 11th when Loyalists light bonfires on the eve of the annual celebrations of the victory of the Protestant William of Orange over the Catholic King James II at the Battle of the Boyne in 1690. This is one more of the tribal rituals that mark Northern Irish society. It is akin to marching season itself, in which Protestant bands and fraternal organizations parade in often provocative, hostility-tinged displays of communal dominance over their Catholic neighbors. In years past Loyalists have decorated their bonfires with statues of the Virgin Mary, Irish Tricolors, effigies and posters of Nationalist politicians, and other unmistakable symbols of casually brutal contempt tinged with not-so-subtle threats of violence. When a banner with the initials KAT, meaning “Kill All Taigs”, is hung across your bonfire, the message is pretty clear. Loyalist communities defend these bonfires and marches as cherished parts of their culture and integral to their British identity. The bonfires are typically built in public spaces, often dangerously close to homes. In recent years the towering bonfire structures have grown more and more massive as neighborhoods compete against each other to have the biggest conflagration in the city. This year, more than 50 homes have been boarded up in one neighborhood and the residents encouraged to evacuate because the bonfire being built is so immense, and so close to residences, that there is real fear that the houses could burn along with the towering structure of pallets and tires. It comes as no surprise that the committees which take charge of building the bonfires are cut checks from public coffers, with the money distributed as community development funds. It comes as no surprise that many of my Catholic friends will choose to stay at home on the night of the 11th, just in case. When I was in Sandy Row in March, the young men who met me at the community center to take me on a tour of their neighborhood invited me back for July 11th to experience their bonfire. They described it as a positive, welcoming, family-friendly event, like a backyard barbecue and block party rolled in to one. And they were astonished that anyone, anywhere, would consider it otherwise. 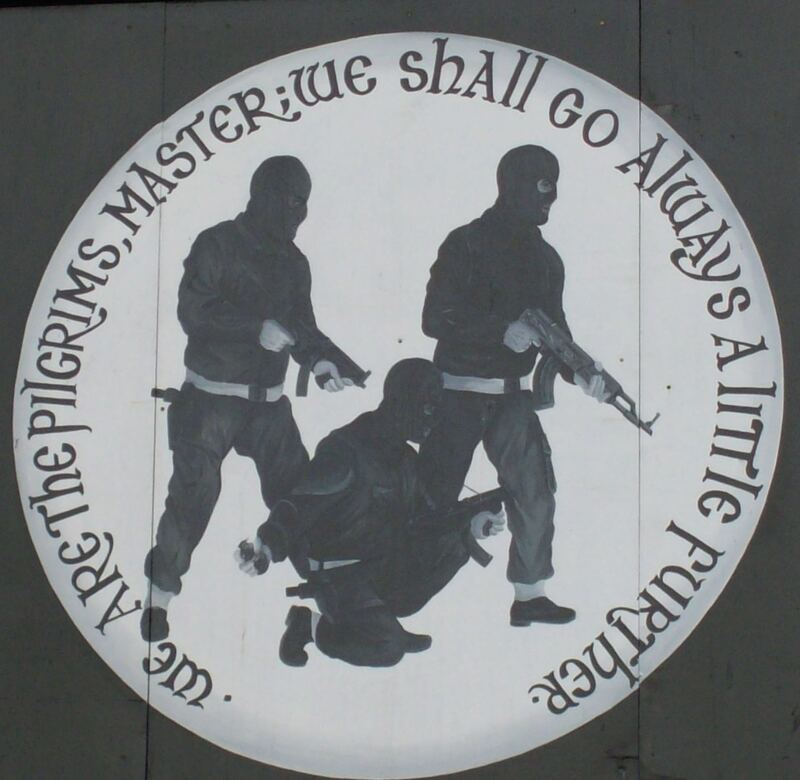 Welcome to Loyalist East Belfast, where paramilitary murals still proudly adorn the walls. I walked away from my conversations yesterday with a sense of pessimism about the future of Northern Ireland. The people I met had experienced so much pain, and expected so much more yet to come, that I could not help but be touched by their perspective. They firmly believed that the war had only paused. That they had been prevented from winning by politicians unwilling to approve the necessary measures that would make shoot-to-kill an across-the-board reality. And that as a consequence, the resumption of the war was inevitable. More blood would be shed, and more people would die. And that worried me. Because in every trip I’ve made here beginning in 2008, the feeling of fragility, of the bandage covering deep unhealed wounds unraveling at the edges, has only intensified. I spent my afternoon today interviewing a former member of the Red Hand Commando*, one of the most effective, or notorious, depending on your perspective Loyalist paramilitary organizations. I walked away from that interview with a sense of hope, not dread, for the future. Yesterday was about fear and an expectation of the worst. Fear that the IRA had not gone away, that the relative calm was only a facade, that the turmoil along the border would explode. Expectation that things would “kick off” again, and when they did it would be a brutal, bloody mess. Today was different. My contact was unapologetic about his past, but recognized the awfulness of what it meant to go to war and to be at war in a place where people know each other, recognize each other, live next to each other, and were killing each other. And he was determined that the current generation, and future generations, should not have to go through that hell again. This is no longer about us. For future generations, we can’t be selfish. The world will be a better place. We can only focus on our wee bit first. Hope, hope, hope. Give hope, and keep hope. And so I hope for the future of this place, for the people I have come to know and respect and have real affection for across the numerous sectarian, political, and class divides, and for those that I haven’t yet met. Hope. *I hate myself for continuing to link to Wikipedia, but hey, this is a different kind of media. Students, do not let yourselves think that this is a substitute for actual, scholarly, research. Since my last visit, one of the most famous paramilitary murals in all of Northern Ireland was replaced with something … less paramilitary. 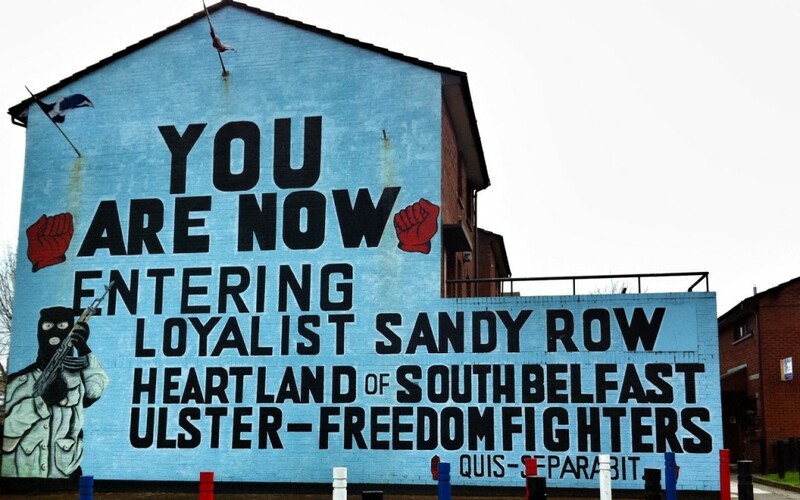 Gone is the old Ulster Freedom Fighters mural (seen above) that for years welcomed visitors to the Loyalist stronghold of Sandy Row. 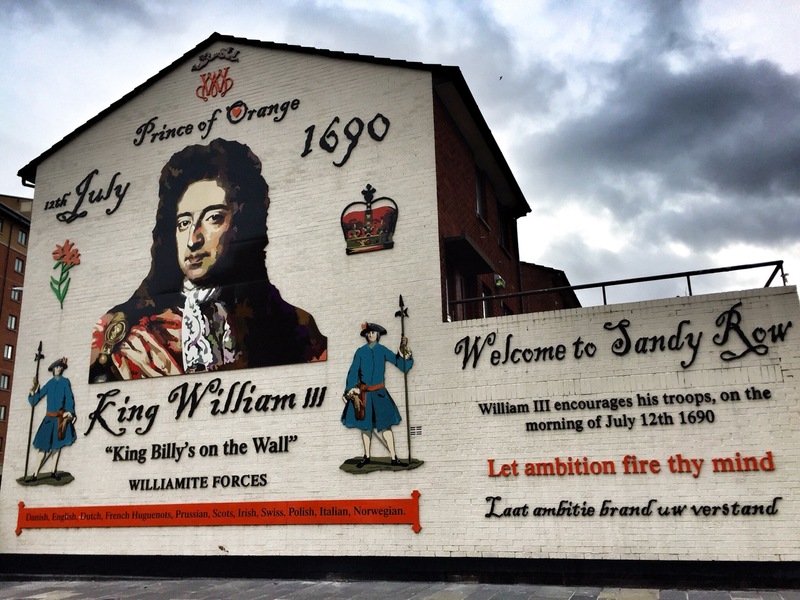 In its place is a new mural (seen below) that still marks the neighborhood as Loyalist territory but does so through a less-menacing, more acceptable historical reference, King Billy, who passed through the area on his way to fight the Battle of the Boyne in 1690. In the nearly 20 years since the Belfast Agreement most of the paramilitary murals in Republican areas have been replaced with ones celebrating culture and heritage, or less problematic aspects of local history. Loyalist areas have been much slower to follow suit. East Belfast, in particular, continues to boast more than its share of menacing imagery. Some traces still remain in Sandy Row, but they are fading, the paint chipping of the wall, and in some places splashed with graffiti. The repainting of murals was part of a concerted effort at neighborhood renewal, an effort to rebrand Republican and Loyalist communities alike as progressive and inclusive. Unfortunately, like plastic surgery, changes like this generally only skin deep.